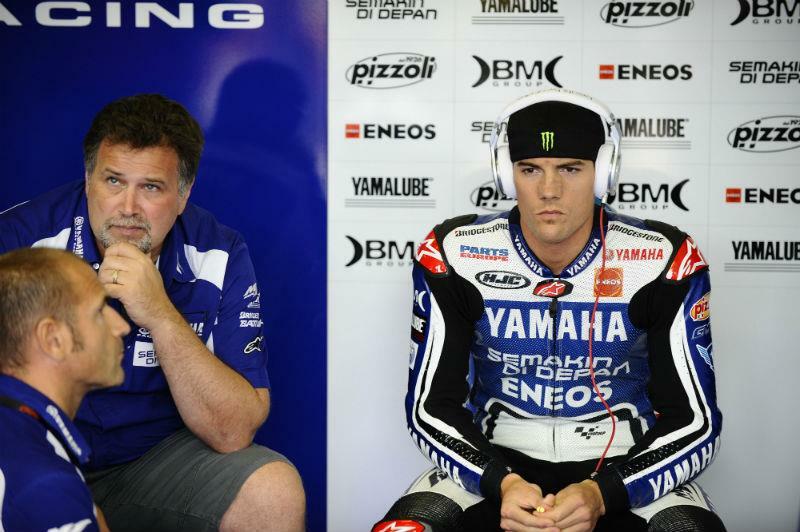 ﻿ Ben Spies close to shock Gresini Honda deal? Ben Spies is edging closer to committing his future to MotoGP after it emerged in Brno today he is locked in talks over a shock move to the Gresini Honda squad for 2013. The Texan seemed certain to switch to World Superbikes to partner Marco Melandri in a BMW Italia squad next season after he announced he will quit Yamaha’s factory MotoGP squad ahead of last month’s Laguna Seca race. But MCN understands that current factory BMW rider Leo Haslam has suddenly been offered a 2013 deal with Melandri, strongly suggesting that Spies has rejected the offer. Fausto Gresini confirmed to MCN in the Czech Republic earlier this evening that he is locked in talks with Spies about a deal that would see him replace Spaniard Alvaro Bautista. The approach was made in Indianapolis last weekend and Dorna boss Carmelo Ezpeleta is believed to be pushing Gresini and title sponsors San Carlo to hire the 2009 World Superbike champion. Gresini has previously enjoyed full factory support from HRC for Daijiro Kato, Sete Gibernau and most recently Marco Simoncelli. It hasn’t been confirmed yet whether Spies will be offered a factory RC213V machine identical to Dani Pedrosa and Marc Marquez. But he also confirmed to MCN that the option to develop Suzuki’s new GSV-R 1000cc machine and race it in selected wild card appearances in 2013 was an option. He would then spearhead a full-time Suzuki return in 2014. He added: “It is something that has been put on the table. But I want to race so it depends on what their plan is and how quickly they can move along with doing wild cards or whether they will race in 2013 or 2014. News of the Gresini approach to Spies and his confirmation that he is seriously interested could see the triple American Superbike champion complete a massive career U-turn. Speaking only just over a week ago in Indianapolis his comments suggested he had no intention of racing in MotoGP in the future. He dropped a bombshell on the eve of his home race in Laguna Seca last month by announcing his decision to quit the Yamaha factory squad he joined at the beginning of last season. He cited a 'litany of reason' for his decision. Spies has endured a nightmare 2012 and he has yet to score a podium in the new 1000cc era. His season has been dominated by bad luck and he failed to finish in Laguna Seca and Indianapolis after suffering major mechanical failures. He is currently 10th in the championship standings with only 66-points. That's 159 less that team-mate and world championship leader Jorge Lorenzo.